Brushing, rinsing, and flossing are the essentials for a great smile, and that's the "tooth"! Get the word out for good dental hygiene with "Life is great... 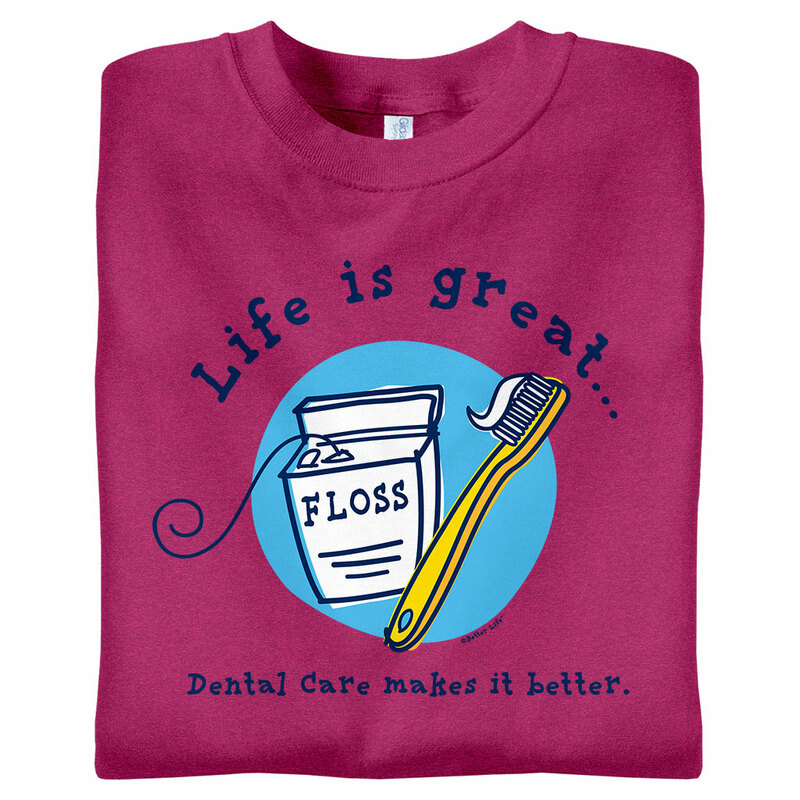 Dental Care makes it better" t-shirts.